A Film Premier at Grace Dieu! 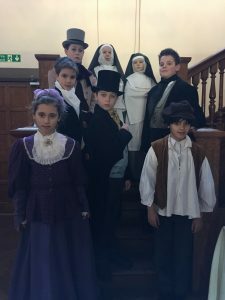 This month saw the premier of ‘An Unquiet Grave’, a short drama by Pudding Bag Productions based on Roesia de Verdun and starring some of our very own Year 6 pupils. 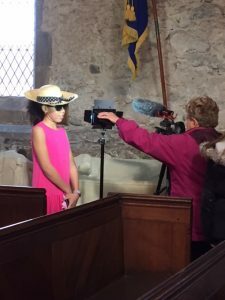 The children were treated to a special screening at Grace Dieu and Wendy Freer from Pudding Bag praised the children and their professionalism throughout rehearsals and filming. 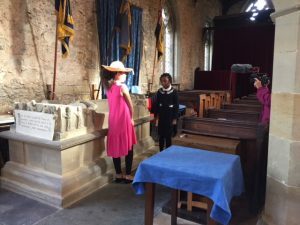 The film is being showcased at Ashby Arts Festival and is due to be shown at a number of venues later this year including Charles Booth Centre in Thringstone and St Helens Heritage Centre. 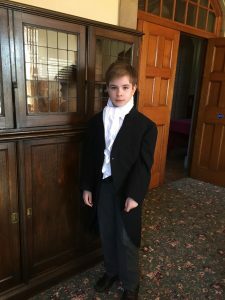 “Our pupils have thoroughly enjoyed the opportunity to star in this short film. 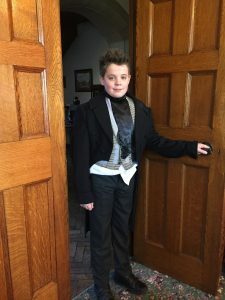 It has been a great learning experience for them to work on a project with a professional film company from start to finish,” says Headmistress Margaret Kewell. 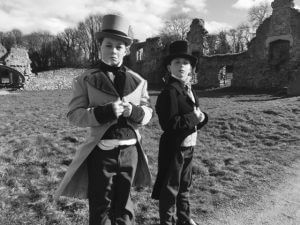 The film will be available to buy on DVD soon with all proceeds going towards Pudding Bag Productions who specialise in widening access to history and heritage through film-making. Watch this space for another exciting project for Spring Term 2019!